Okay, enough misery, let's talk about something enjoyable. 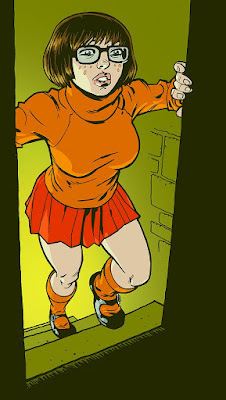 Somewhere along the line, Scooby Doo creators and fans alike decided Velma should actually be really cute. For those of us attracted to a certain type, this was a very good thing indeed. She was always meant to. THE SKIRT!!! Count me in as a passenger in that particular van.